Cultivating Peace & Joy – Nurturing peace and joy in the world from the inside out. Looking for daily inspiration to live with more peace, joy and meaning? Your browser does not support this audio type. Sign up to receive our free gift – the Cultivating Peace and Joy mobile app – with daily reminders and encouragement to nurture yourself. Caring for everyone in our lives except for ourselves leaves us feeling chronically overwhelmed and exhausted and robs us of our health, inner peace and belief that our lives can be different. Learning to nurture ourselves consistently empowers us to transform our stress into peace and ease and cultivate lives filled with joy, meaning and vibrant health. Nurturing ourselves provides endless benefits including improved health and relationships, renewed strength, optimism and confidence, increased creativity and self-awareness, and the expansion of self-compassion, love and belief in ourselves. We empower overwhelmed and exhausted individuals to live with more peace, joy and meaning through the practice of self-nurturing in order to nurture peace in the world from the inside out. Kelley is a counselor, bestselling author, self-nurturing expert, and founder of Cultivating Peace and Joy. She is passionate about empowering people to live with more peace, joy and meaning through the practice of self-nurturing and is dedicated to cultivating a more peaceful world. She works with individuals, facilitates workshops, speaks at conferences, leads retreats and provides professional and leadership development to organizations dedicated to making the world a better place. She also teaches self-nurturing strategies and mindfulness at local nonprofits to women overcoming domestic violence, homelessness and other major life challenges, to people living with epilepsy and to youth and adults engaged in peace making. She would love to be your guide and mentor and support you in cultivating your self-nurturing practice so you can nurture peace in the world from the inside out! 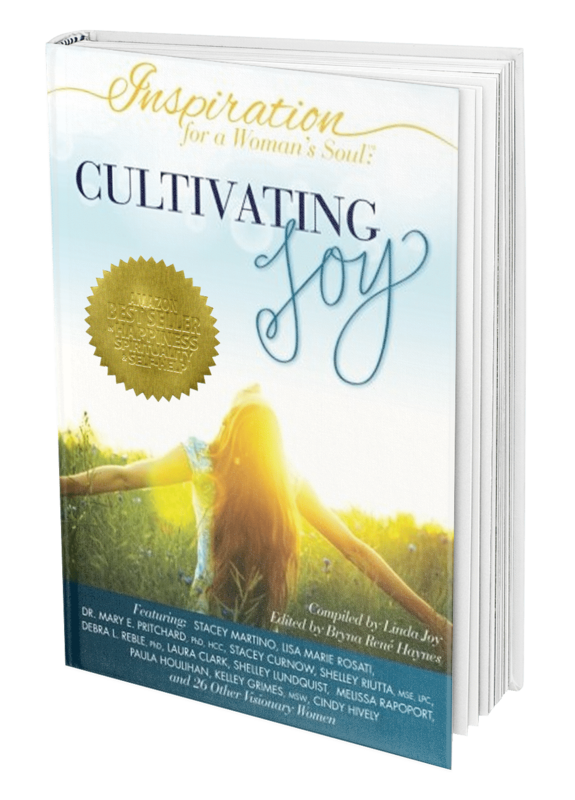 Kelley is a featured author in this inspiring collection of stories from women who know what it means to live in joy every day. These moving, heartfelt tales illustrate how authenticity, inner courage, and a deep belief in the power of choice guided these amazing women to create lives of peace, beauty, and abundant joy. Kelley’s transformational story “The Daily Choice of Joy” is her personal journey of recognizing how essential self-nurturing is in thriving in difficult circumstances and how empowering it is to choose joy. Kelley is a featured author in this inspiring collection of stories from women who have shifted their perceptions, strengthened their hearts and found ease in their daily lives through the power of gratitude. These incredible stories prove that when we embrace gratitude in every moment, we allow in the healing power of grace. Kelley’s transformational story “All is Well” is her personal journey of recognizing that by choosing gratitude, her challenges became adventures and she surrendered to flow of grace. Discover the transformational power of gratitude! In this four-week empowerment course you will transform your habit of self-neglect through a supportive step-by-step process to cultivate self-compassion, develop more self-awareness, take inspired action to nurture yourself and then reflect on your growth and deepen your gratitude practice. Live with more peace, joy and meaning today by transforming your habit of self-neglect into a practice of self-nurturing!